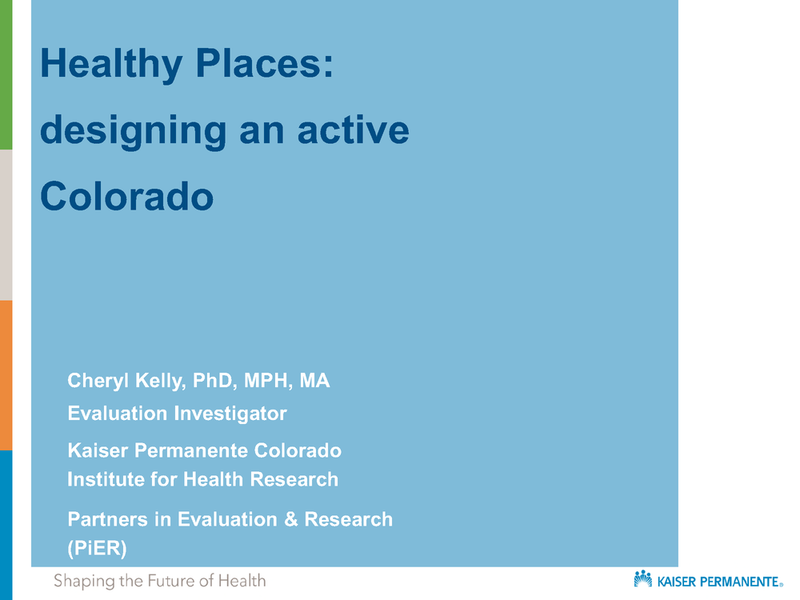 Purpose: Measure the impact of changes to the built environment that support physical activity in three Colorado communities. 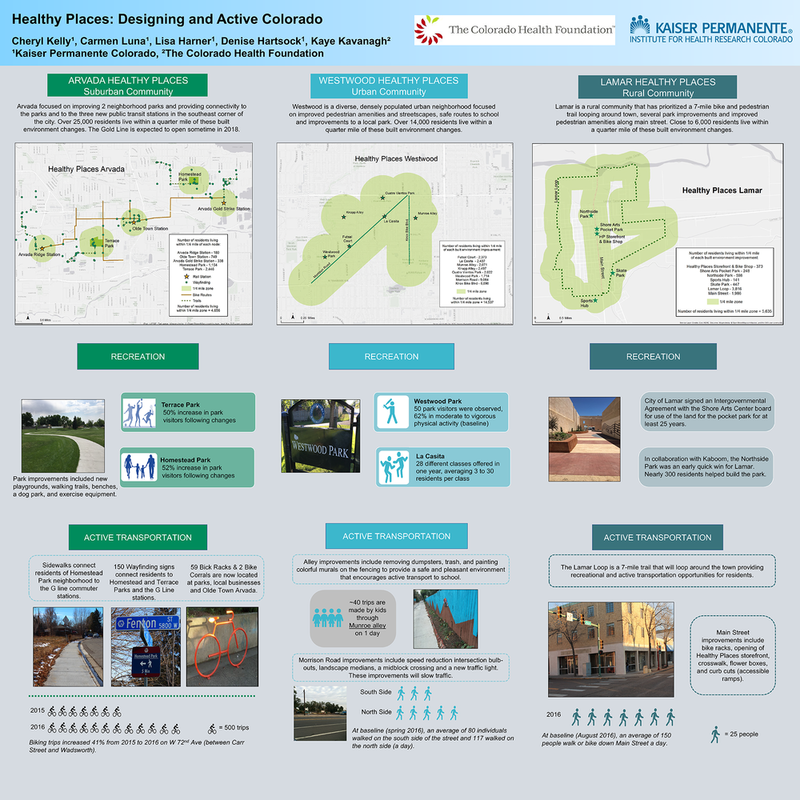 Healthy Places: Designing an Active Colorado aims to increase physical activity by fostering a built environment where it is easier, safer and more appealing to walk, play and engage in daily activities that encourage movement, connection and fun. The evaluation is identifying the key ingredients to implementing built environment changes, measuring how communities were engaged in the planning and assessing the extent to which the built environment changes led to an increase in physical activity. This work is currently expanding and will include an additional 4 communities beginning in 2018.